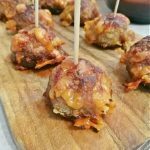 These New Year’s Eve Cocktail Meatballs are delicious, juicy, cheesy and absolutely great as a party food! I’ll be more than honest on this one, but I made the mistake you should be looking out for: the overbaking! 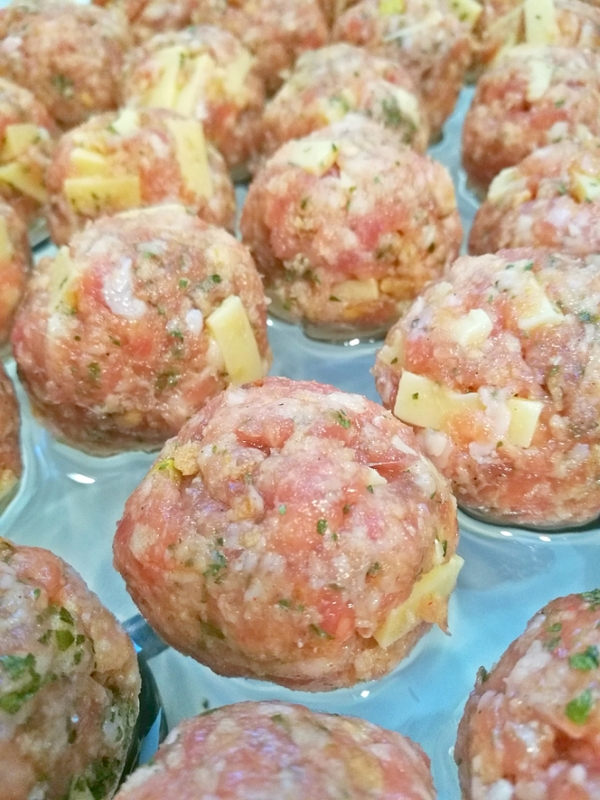 So if you see your cocktail meatballs are having a nice golden color and looks done, then they most likely are done. I baked them for about an extra 10 minutes and left them in the hot oven to cool down, well, they dried out. 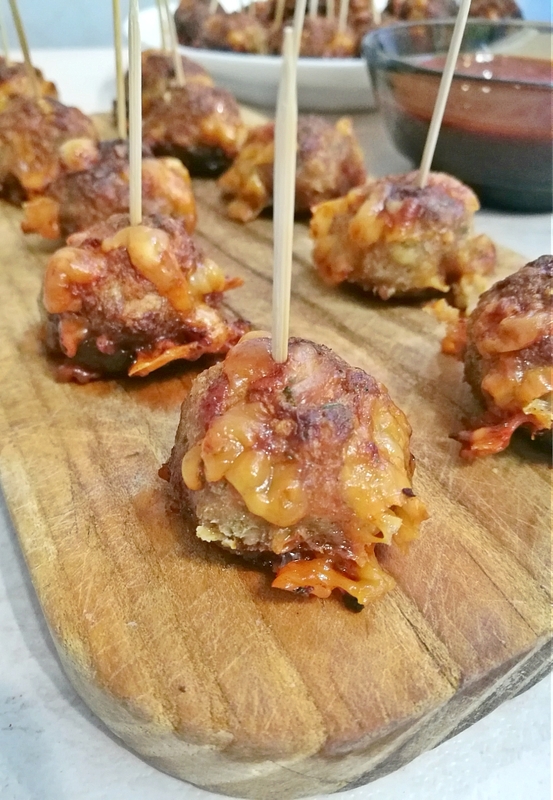 These New Year's Eve Cocktail Meatballs are delicious, juicy, cheesy and absolutely great as a party food! Mix the meat with the seasoning, the Worcestershire sauce, and the eggs. Dice the onion and mix them in with the meat. Grate the cheese and add it to the meat too. Add the breadcrumbs to the meat and mix them until everything is well combined. 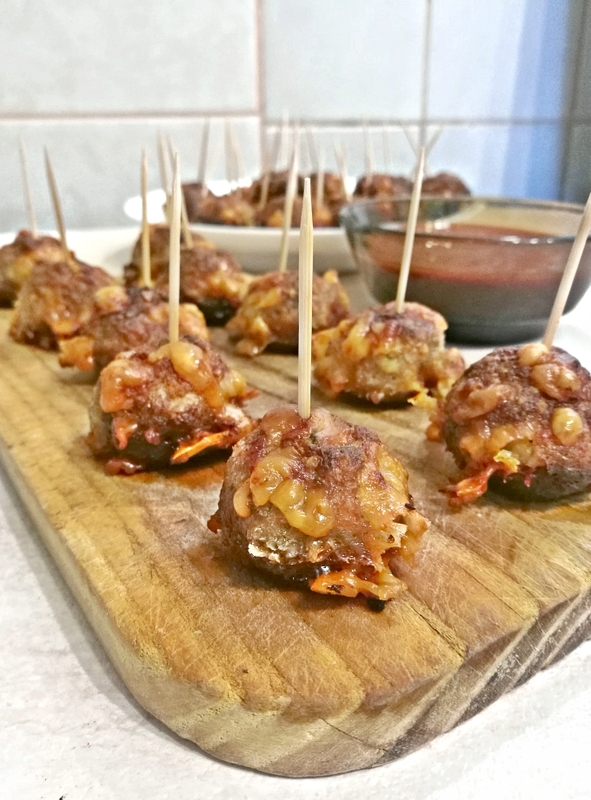 Form small balls from the mixture and place them in a non-stick, oven-proof pan. Bake them for 15-20 minutes, or until they got a nice golden color. To make sure it's done, cut one in half and see if it's fully baked.